Every bear deserves their moment in the sun – and it is a huge pleasure to see super special moon bear Cat Ba enjoying hers. 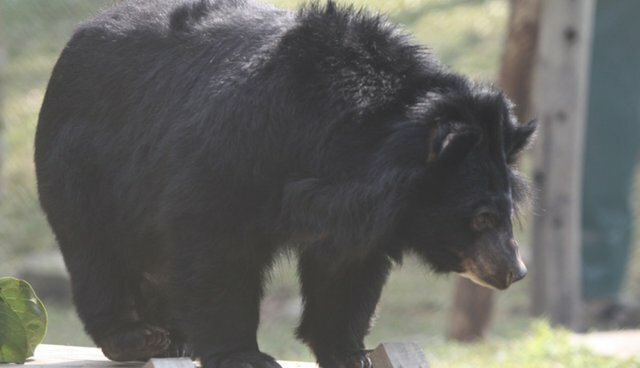 Named after Cat Ba island – the largest in Vietnam's Halong Bay archipelago – Cat Ba's rescue marked the end of bears being kept in captivity at the tropical beauty spot. Her life on the island was spent in solitary confinement, pacing around a small rock cave with access to a tiny round cage – it was entirely concrete and rock with not a blade of grass in sight. 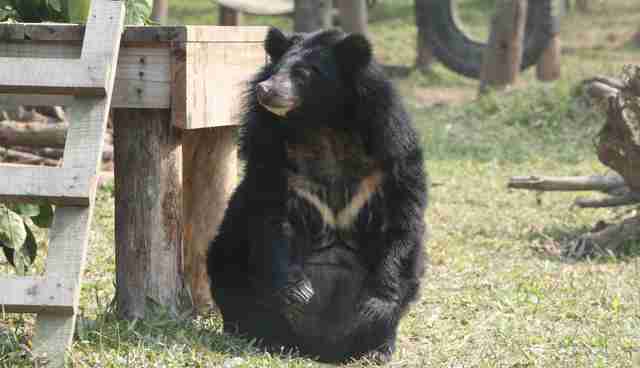 Cat Ba's story is all too typical in Vietnam where bile farms still hold nearly 2,000 bears. They are kept poor conditions so that the bile can be extracted from their gall bladders for use in traditional medicine. The extraction process results in long term physical and mental health problems for the animals, with many starved, dehydrated and suffering from multiple diseases and malignant tumors that ultimately kill them Thankfully, for Cat Ba the nightmare is over and her life could not be more different now. 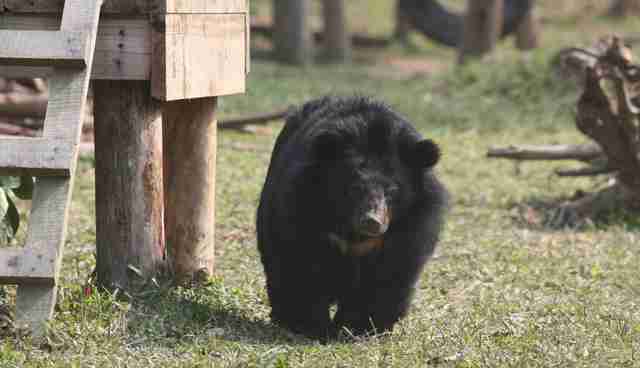 At the start of this year, Cat Ba moved into one of our Vietnam sanctuary's new bear houses – allowing her to enjoy more freedom and companionship than she has ever known. "The first bear from the new group that Cat Ba met was Parly. He's a lovely boy and was very gentle with all his new friends – even joining Cat Ba in her basket! She's taken all the changes in her stride – playing happily with her new bear friends, exploring the great outdoors and feeling the grass beneath her feet." It's the least she deserves. 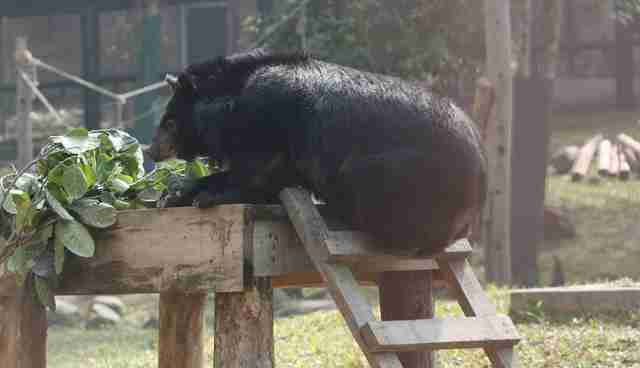 Enjoy your days in the sun, Cat Ba – and hope you all have a great #moonbearmonday.